This post is sponsored by EzPacking, but all opinions are my own. Jason and I have always enjoyed travel, and prior to having kids, packing an organized suitcase was easy. He had his and I had mine. Mine stayed nice, his was a messy pile after just a day. Then we had kids. They haven’t (so far) infringed on our love of travel. In fact, my 2 year old wakes up most mornings asking “go bye-bye soon?”. Since we have family spread across several states, it’s a good thing we all enjoy going places. However… My suitcase. My poor, poor suitcase 🙁 It’s a disaster! Jason still has his own case, but I now share a slightly larger one with the boys. That wouldn’t be a problem, other than I have a fantastic husband who is also a great daddy and he helps me get the boys dressed/undressed. The toddler also tries to help. This resulted in everything getting stirred up, and the boy’s clothes getting mixed up to a point that the hubs wasn’t sure which clothes belonged to which boy! And of course, my socks, bras, and underwear would end up clear at the bottom of the suitcase. The email came from a company called EzPacking. Coincidence? I think not! After some discussion and learning more about their products, I agreed to work with them as a blogger. They sent me the complete bundle value pack to use and I was blown away. All the perfect little packing cubes, so clear I could see through them and know exactly what was in each cube! Keep reading for a discount code! Everyone has their own way of managing to remember (or forget) everything needed to pack for vacation. My madness has a method that works very well for me. I pretend as though I’m getting dressed. Underclothes first. The drawer comes open and I grab for each day needed “Thursday, Friday, Saturday, Sunday, Monday” saying the days as I pull the clothes. Next my dresses, then a sweater or two if the weather is looking chilly. My nightclothes are next and finally my shoes. I use this method for everyone. It works well for myself and the boys, since I get them dressed. Poor hubby on the other hand, I’ve left stuff of his behind, now he likes to double check everything! 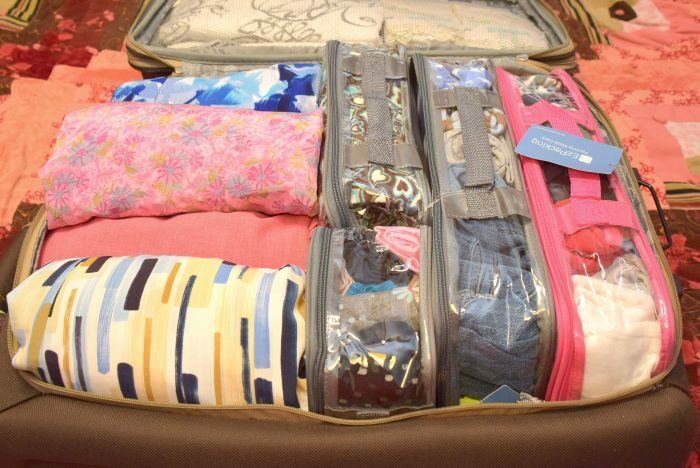 This time when I packed, I used the packing cubes as traveling drawers. The small square one is perfect for my bras and helping them maintain their shape. Other uses for the square one would be socks or underwear. I found it the perfect size for the boy’s socks as well. Each boy had their own cube. I used the 2 large cubes for them and it was perfect. As you can see in the photo, each cube held their pajamas and clothes for 5 days perfectly. At our final destination, I pulled most of the cubes out and laid them on top of the dresser in the room we were using. So convenient and no more stirring in momma’s suitcase! In fact, my suitcase was basically empty so I stacked Jason’s inside of mine to clear up floor space. *Light packing tip: When we are going to be gone more than 4-5 days, I bring along a small amount of laundry soap and do laundry while on vacation. In this case we were gone a total of 9 days, so I actually washed some stuff twice. The small cube is great for packing any laundry stuff you may need. Rolling clothes up makes a difference in two ways. First of all, the rolls fit together much better than stacks of various sized clothing. Secondly, the rolls fit perfectly in the packing cubes! The clear cubes allow you to see exactly what is there. If your trip is by road and will take a couple days to arrive at your destination, pack the cubes for each day. Our last road trip took 2 days and it was so awesome not having to pull all the suitcases out for one night! I rolled Jason and I’s underclothes/nightclothes and stuff for the next day, up and put them together in one cube, then did the same for the boy’s in another cube. At our halfway stop, we grabbed the cosmetic bag with our personal care stuff in it and the appropriate packing cubes and it was the simplest, mid-trip stop we’ve ever made. Where were these amazing things when we drove 5 days from Ohio to the west coast?!! Keep those dirty shoes separate! Nothing like finding dirty shoes tossed into a suitcase of clean clothes. I love that the EzPack Bundle had 2 shoe bags with it. So handy! That is what my suitcase looked like before I closed it up. Both of the boy’s clothes in the two large cubes, my underclothes in another one, my nightclothes in a third. Under the dresses was the small squares with the boy’s socks and my bras, along with a sound machine and baby monitor. The room we stayed in had a place to hang my dresses, and once the EzPack packing cubes were laid on top the dresser, my suitcase was empty so we put Jason’s down inside of it. 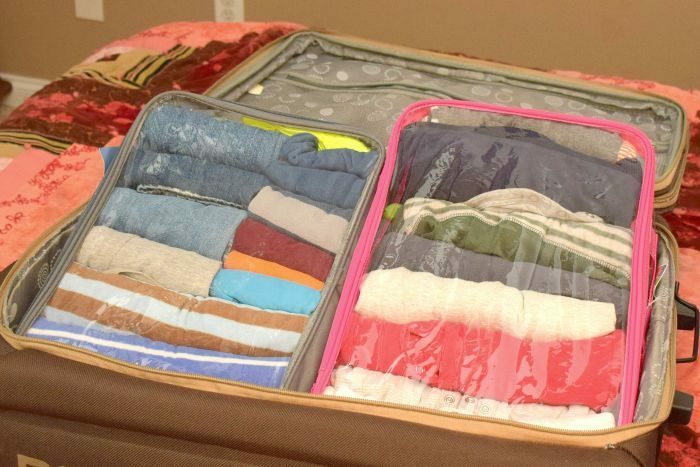 Packing an organized suitcase with these cubes is easy! 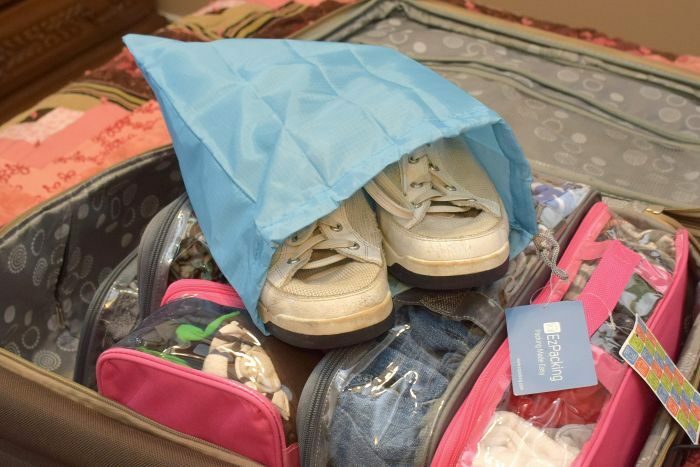 I found the laundry bag to be rather small for our needs, but doubles perfectly as a bag for Jason’s work shoes. The foldable duffle bag takes up just a small amount of space when not in use, but boy can it hold a lot! I used it for dirty laundry and loved it! The folding boards are to help perfectly fold dress shirts and they are perfectly sized for the small, medium and large packing cubes. Jason didn’t need any dress shirts for this trip so I haven’t used them yet. However, I love the idea of getting that “new from the store” fold! 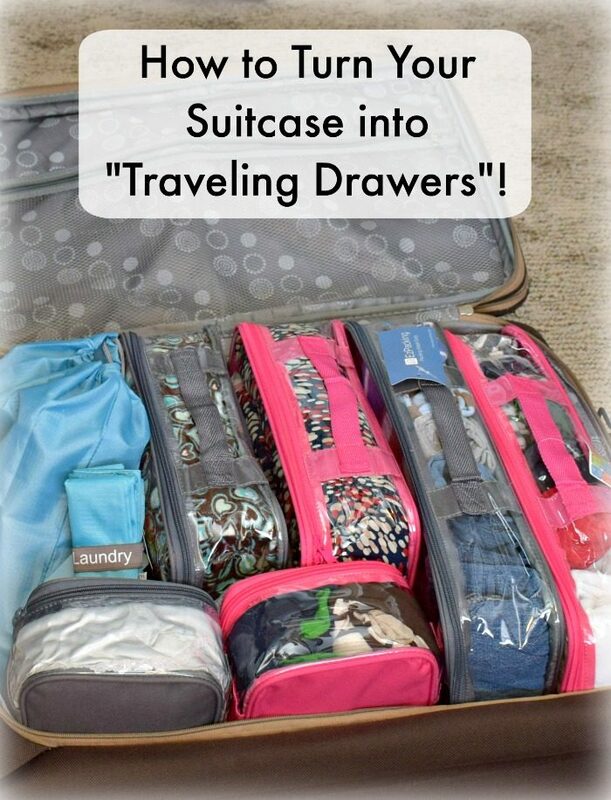 Want help packing an organized suitcase? Readers of A Proverbs 31 Wife can get a 10% discount code here! 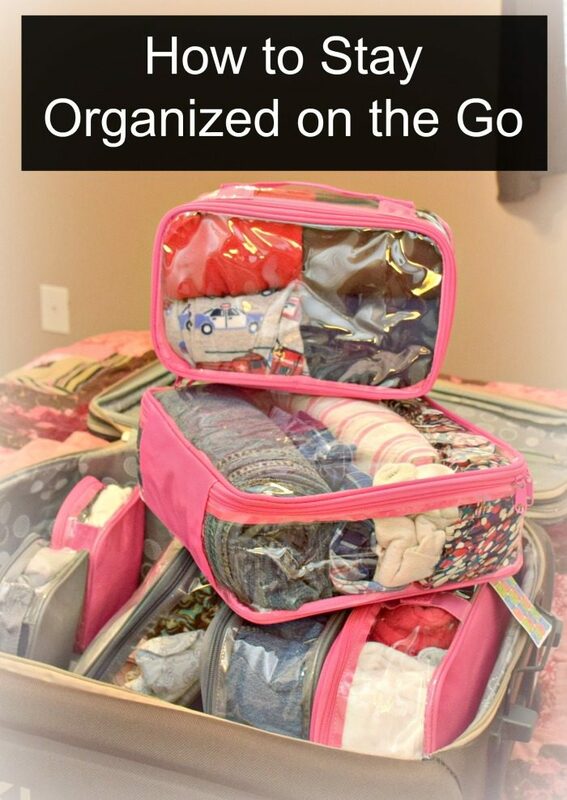 Follow EzPacking on Instagram, Facebook, and Pinterest for other tips on packing an organized suitcase. Wow! We traveled multiple times, plus a few camping trips this year, and these would have been sooo handy! I’m glad we have these for next year though! My teen daughter taught me about rolling your items before placing in suitcase. My husband even uses this method for his t-shirt drawer. Well this is absolutely fantastic! I almost cried when saw the picture of your suitcase, sooo organized! Must get a system like that ASAP. I bought some of these (different brand) for a trip I was making to see my dad (MI to CA). Unfortunately, I had to cancel due to sickness and I haven’t tried the packing cubes out yet. Looking forward to using them when I do make it out there and for camping next summer! Thanks for the great ideas on packing them efficiently and thoughtfully! 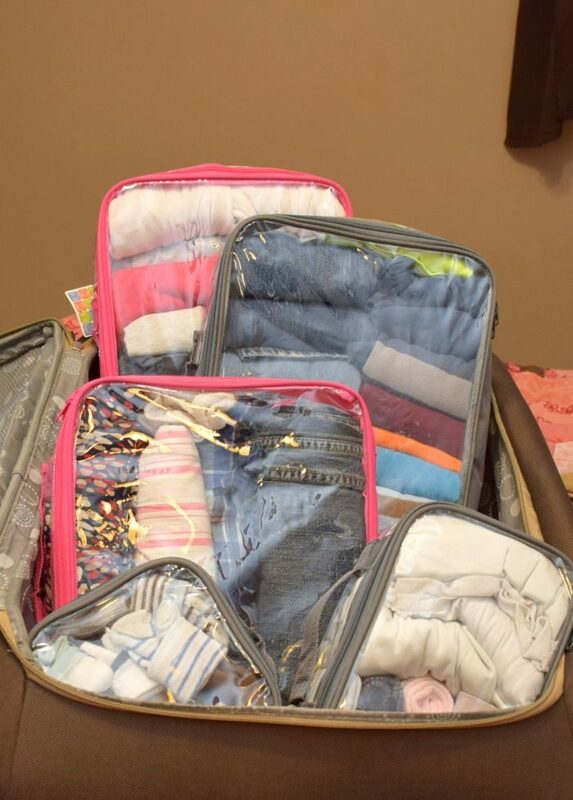 Kendra, I think these packing cubes could really simplify travel, especially with kids! Thanks for the info. 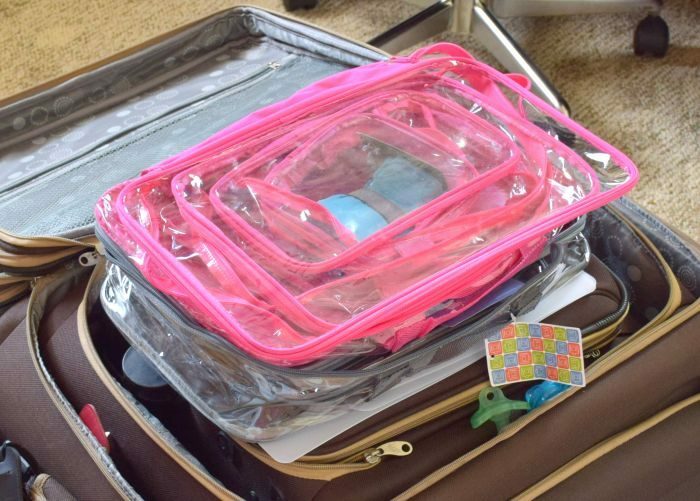 Seeing the photos really helped me get an idea of how I might use packing cubes. Yay! They definitely simplified stuff for us! Did I miss the address for ordering these? Where do you put your toiletries, snacks, toys for young kids? We are pretty basic with toiletries so just a few things that I slide in with my stuff. The other things for young kids pretty much all get stuffed in a diaper bag as we need them as we travel.